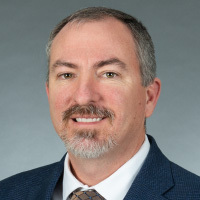 Brian Noonan is a Technical Advisor with Anadarko Petroleum Corporation with 20 years of experience in consulting and industry managing environmental liabilities. In his current role, he is responsible for the management of legacy remediation sites in the southern and western United States primarily impacted by light non-aqueous phase liquids (LNAPLs) and petroleum hydrocarbons. Brian holds degrees in Geology from Northeastern University (B.S.) and Texas A&M University (M.S.) and is a Professional Geologist in the state of Texas. Key Remediation Advances and What's Left for Us to Do? This panel discussion will feature speakers with decades of experience in the environmental industry. The panelists will focus on key advances that the remediation industry has seen over the last twenty years and will also highlight remaining challenges (e.g., technical, economical, etc.) for site restoration. The panel will be moderated by John Edgcomb, a top rated environmental attorney in California. Panelists include Steven Shestag (The Boeing Company) and Brian Noonan (Anadarko Petroleum Corporation) who will provide site owner perspectives, Kira Lynch (U.S. EPA) and Dr. Gunarti Coghlan (NAVFAC HQ) who will provide a Department of Defense research and development perspective, and Dr. Peter Zeeb (Geosyntec Consultants) who will provide a practitioner perspective. A pending speaker will provide a regulatory perspective.